Notice – Some difficulties currently exist with Chrome displaying our documents. If you experience any difficulties, please use Internet Explorer. Westlund is Canada’s leading National supplier of carbon, stainless and alloy pipe, valves and fittings. We are the industrial division of EMCO Corporation with 220 locations to serve our valued customers from coast to coast since 1906. Westlund has experience and expertise in a wide range of industries. To focus on your products, services and needs, take a look at Market Segments & Products to find your industry. 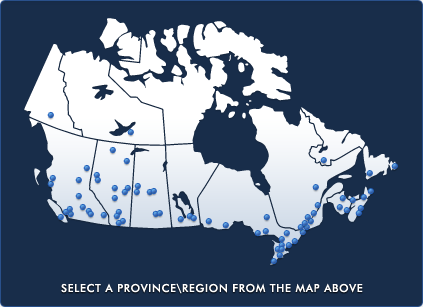 Find a profit centre near you, look at our service map or contact one of our major logistics centers and technical locations in Vancouver, Edmonton, Calgary, Saskatoon, Toronto, Montreal, Dartmouth, and St. John’s. Our local entrepreneurial Westlund managers have the authority to act as an owner and serve you as if it’s their own business. Allowing for the fast, accurate decisions that our customers need.